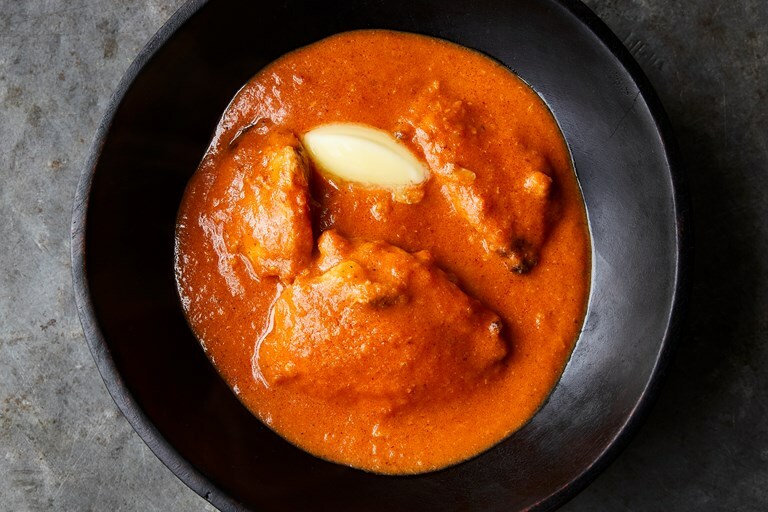 Alfred Prasad's murgh makhani recipe, known in the UK as butter chicken, is one of the ultimate curry dishes. The chicken is marinated in ginger and garlic paste, yoghurt and spices before grilling and combining with the rich, heady makhani sauce. This recipe appears in our first ever cookbook, Great British Chefs, available to buy on Amazon.